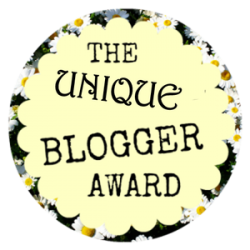 So What is a Mystery Blogger Award? I’m afraid of most animals. Big and small. The only animals I’m not afraid of are ants, flies, and mosquitos! I don’t like romance books but I really really love romantic poetry. So weird! If there was a portal that would bring you to any story, where would you go and why? Haha you know my answer will forever be Wizarding World right? Why? Because I want to be a student at Hogwarts, and I want to experience all the magic stuff!! What supernatural power would you like? I would really like to have a teleportation ability, that would be so useful in my everyday life! Would you rather go to the beach or the mountains? Beach, mostly because I hate hiking and climbing. So I’d rather be chilling at the beach! If you could adopt any animal/pet from any book, who would it be and why? If only I wasn’t afraid of animals, I’d definitely adopt Sam (from Granted). He’s so funny, brave, and loyal, he’s the best friend you could ever ask! I started this journey from bookstagram, and then I feel like I need to write longer review for the books I’ve read so I decided to start a book blog. I still don’t know what I’m doing though, I mostly post review and participate in book meme, but I love interacting with all of you in this supportive community! 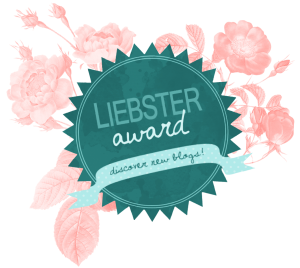 Now that half the year is done, what are your goals for your reading and blogging for the rest of the year? Which fictional character would be your real-life BFF? I think captain Thorne would be my BFF. Okay I admit I’d have a crush on him a little bit but I’d never separate him from Cress! Thorne is a funny guy, you can count on him in every situation, and he’d perfectly match my cinder-like personality! Who’s your favourite villain (book or movie)? Adelina Amouteru from The Young Elite trilogy. She’s the most complex character, three dimensional, and well developed. But now when I think of it, were she really a villain? You’re speaking to an acquaintance who has something in their teeth, do you tell them or not? Would you want someone to tell you? Hmm I’m not sure. But if they are an acquaintance I guess it’s better not to tell them because some people just couldn’t handle that kind of embarassment. If it were me I guess I wouldn’t want someone to tell me either! It’d save me from getting awkward! If you had to marry a villain from a book, who would you marry? What is your favorite trope? Do you prefer plot driven books or character driven books? What make you give low rating to books? 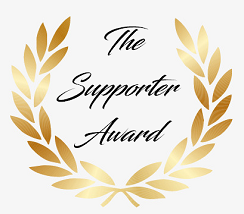 Posted on July 13, 2018 October 20, 2018 by Carolina @fictionologystPosted in Blog AwardsTagged Awards, Blog Awards, Mystery Blogger Award. Thank you, and you’re welcome. You deserve every awards!! Very nice!!! Thanks for doing the tag! I need to check to see if I added you on Instagram!! I’m wondering if I should check out the Young Elite series! Aww you’re welcome babe! You should if you love dark characters and dark stories!! That is so funny because I love animals and will not hesitate to kill ants, flies, and mosquitoes. Teleportation would be amazing. Just think of all the places you could see without all the travel expenses. Thorne is hilarious. I think he ended up being my favorite in that series. Oh, Adelina, I loved her too. Thank you for nominating me. I love your questions. My recommendation is Autumn Tree by Milo Greene. I’m not too fond of their newer stuff, but their first album is golden. Yaaay I’m not alone!!! Well I don’t mind if I just look at them, but I’m absolutely won’t touch them, no thanks!! Thorne is awesome!!! I wish I had him as my BFF!! Haha and it’s save our time too! Well at least I could stay in bed a little longer and not have to worry about the traffic!! That’s why Thorne is a perfect BFF, I admire Cinder-Thorne friendship that’s why I think he’d be my fic BFF!! Thank you, love! Ahhh thanks so much for the tag love, sorry I missed it originally; I didn’t get a pingback and I have been TERRIBLE with my WP reader lately because I keep getting shoved into spam. I can’t wait to answer your questions down the road! I am glad I finally saw it too!! And apparently WP only does the pingbacks if you are linking to an actual post/page. It won’t work if you link to their homepage. Oooo so that’s why! Thank you for the information babe!! You’re welcome, happy to help~! !